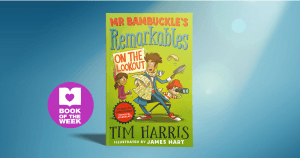 Before we start telling you all about the latest instalment in the Mr Bambuckle’s Remarkables series, we feel the need to disclose that Better Reading Kids are huge fans of author Tim Harris. 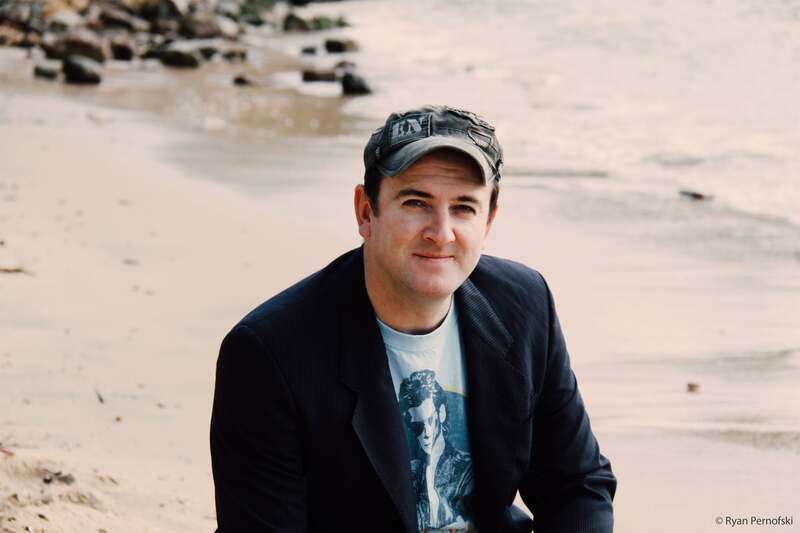 Not only does he write hilarious books that tempt the most reluctant of readers, he has also very generously contributed to our page over the years with his Ode to Books and Dads on Father’s Day and this piece on Five Reasons Primary School Teachers Should Read Aloud in the Classroom.We know you love him too, because you’ve told us! This is the fourth book in a series that has been described as ‘enthralling’, ‘laugh-out-loud and Rip-Roaringly Awesome.’ Mr Bambuckle, the teacher we all wish we’d had, returns, along with a host of familiar characters and a few new ones. Drama ensues from the very first page. Mr Bambuckle and Miss Frost have taken the students of 12B on school camp. If that doesn’t set off alarm bells, then you’ve clearly never been on a school camp. 12B have been enjoying all the wonders of nature but now the fun has come to an abrupt end, with Miss Frost revealing that Vex Vron has run away. Will Mr Bambuckle lose his job (Miss Frost has been eagerly awaiting the moment that the wildly popular teacher will slip up), but most importantly will they find Vex Vron before he comes to any harm? Maybe if they all work together they can find Vex? But is that possible? Some may prefer discipline, procedures and efficiency to be top priority but Mr Bambuckle values learning, individuality and fun! Yet despite his whimsical, carefree nature, he is smart as a whip so we can be confident that the children of 12B are in good hands – right? This series is a lot of fun with exciting illustrations, snappy dialogue and quirky inclusions like a chapter in text message, another in ‘totes notes’ aka an old-fashioned note passed back and forth and lots of laughs including a useful list of Fifteen Ridiculous Uses for a Fake Moustache. For fans of the series, you’ll be pleased to know that Canteen Carol makes an appearance and she is at her charming best. 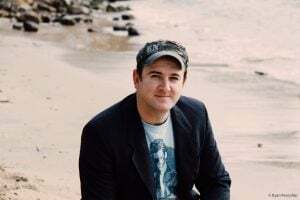 A former primary school teacher of 15 years, Tim Harris has created an addictive series for primary school readers, and you’ll be pleased to know there is another series on the way. An advocate for creativity and short stories, Tim Harris is unstoppable in his mission to get kids reading. A former primary school teacher of 15 years, Tim’s presentations and workshops are dynamic and entertaining. He is a sought-after presenter, having worked in over a hundred schools in 2016 and 2017, alone.